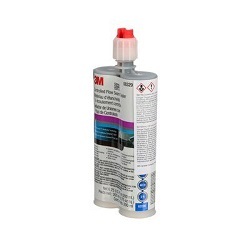 3M Noise - Vibration and Harshness Dampening Material is a flexible adhesive-type material used to reduce noise and vibration between panels where long work time is required. This product can be applied between roof skins and roof bows - door skins and door intrusion beams - or other areas using non-structural type foam materials - providing up to 1 inch (2.54 cm) thick layer of flexible material on vertical and overhead applications. It can also beapplied over existing damping material as long as the original material is stillintegrally bonded. 3M Duramix Universal Adhesive is flexible urethane for bonding plastic add-on parts such as spoilers - flares - air dams - impact strips - emblems and variousother ground effect parts. 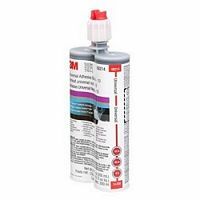 3M Bare-Metal Seam Sealer is a two-part epoxy with corrosion inhibitors for use on vertical or horizontal bare metal seams. It is heavy-bodied - non-sagging andnon-flowing - offering an easy tooling formulation for matching OEM seam sealer appearances. 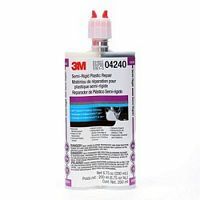 3M Bare-Metal Seam Sealer features a fast setup time which allows technicians to continue repair procedures quickly - helping to increase productivity - especially when taking advantage of the corrosion inhibiting properties that allow for application without a previous base primer coat. The light colour of the sealer allows for increased visibility in trunk pans and other low light locations. 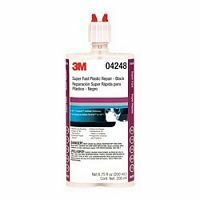 3M Duramix Controlled-Flow Seam Sealer is a controlled flow seam sealer designedfor minimal flow to recreate factory- applied appearances over seams in sloped areas. 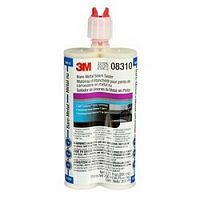 3M Static Mixing Nozzle is a cascade mix/meter nozzle for an easy squeeze of adhesive right on target. Engineered for use with 50 ml 3M Cartridges. 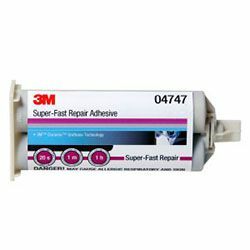 Super fast setting adhesive with excellent wide gap filling capabilities. 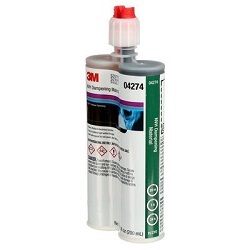 3M Duramix Super Fast Adhesive can withstand a wide range of temperatures -and willnot run or sag. For use with 3M Performance Manual Applicator - and 3M Static Mixing Nozzle 38191. 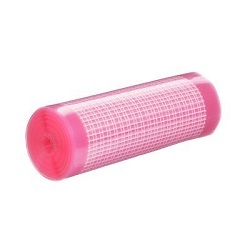 3M Reinforcement Patch is a high-performance roll of structural gauze and plastic release film used for reinforcing the backside of plastic repairs. 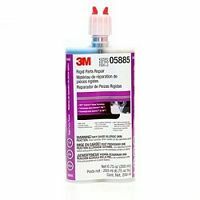 333.04247 - Super Fast Plastic Repair 200mL. 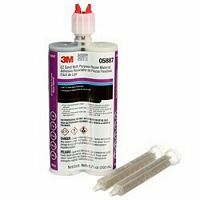 3M Super Fast Plastic Repair is a two-part urethane adhesive that consists of a base and accelerator. The two-parts are always mixed together. The repair has a very fast gel and cure time - and is designed to fit the 3M Automix Dispenser 08117. Super Fast Plastic Repair 200mL. 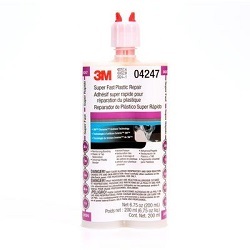 3M Super Fast Repair Adhesive is a super fast-setting two-part urethane adhesivethat does not require a separate accelerator like cyanoacrylate adhesives. It has excellent wide-gap filling capabilities and withstands a wide range of temperatures. 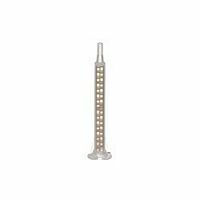 This product is used for rebuilding tabs and fixing broken eyelets. Designed for use as a filler and an adhesive - 3M Rigid Parts Repair is a two-part epoxy that is used to repair sheet moulded compound (SMC) - traditionalfibreglass (FRP) - and other rigid plastic parts. This product is designed for use as a filler and an adhesive. It is epoxy-based for easy sanding and is formulated for excellent featheredge. 3M EZ Sand Flexible Parts Repair Adhesive is a flexible - two-part epoxy material designed to be used for repair of flexible and semi-rigid plastic parts. This formula provides flexibility with good sanding qualities and is compatible with many common plastics. For best results use in conjunction with 3M Polyolefin Adhesion Promoter 05907.